Burgundy can be considered as the most beautiful walking and cycling paths of Europe. This tour crosses the Côte Chalonnaise landscapes by a former railway, from villages to castles, from vineyards to Cluny Cistercian abbey, and finally Mâcon. You will go up the ‘Voie Bleue’ bicycle path along the majestic Saône valley, and go through Tournus and its abbey, a roman treasure. This cycling tour offers some of the most beautiful sites of the Burgundiy region, alternating between vineyards and bocages, charming villages and cities. In South Burgundy, it is delightful to discover a region full of history, heritage and an outstanding gastronomy. Your tour is punctuated by rides (between 28 and 60 kms per day) and visits and tastings. the ‘Maison des Vins’ in Mâcon, the abbeys of Cluny and Tournus, and of course some tastings of the best wines (Givry, Rully, Chablis …). We also advise some of the best restaurants to make your Burgundy experience the best one possible! Famous wines of Côte d’Or and one of the most varied and finest cuisines of France are the first things you think of when hearing “Burgundy”.This tour is the ideal combination of stunning countryside and splendid treasures of art. Everywhere you ride the wealthy past of Burgundy pops up : the Abbey of Cluny,founded 1000 years ago, the historic Beaune or many little villages scattered in the region. Burgundy is variety … and doesn´t live from wine alone! Easy cycling tour, partly using the Voie Verte“(old railway tracks or bridle paths along canals), thus avoiding climbs. Almost ¾ of the path are on bicycle paths while the rest is on quiet shared-use lanes. You will arrive in Mâcon during the afternoon, and go to your hotel. Mâcon is a former frontier between the French Realm and the Holy Empire of Germany (from 843 to 1600), and has a really beautiful old town. If you do not arrive too late, you can go to the “Maison des Vins”, which is open from 10 am to 7 pm. You will find your bikes at your hotel. Night in the 3-star hotel “Hôtel du Nord” (or similar) in Mâcon. You will leave Mâcon via the ‘Voie Bleue’ path. It follows the Saône river to Fleurville and the castles of Marigny and Marfontaine. Paths and small roads will lead you to the beautiful Roman Abbey of Tournus and the splendid old town with its streets and traboules (hidden passages that cross buildings and connect streets to each other). Must-sees: the abbey site of St Philibert, 11th century (Roman masterpiece), and the “Vignerons de Mancey” cellar, that you can visit for free, and which offers tastings. Night in the 4-star hotel “Hôtel Le Rempart” (or similar) in Tournus. 3hrs30 of cycling. You will go along the Saône river, before getting away from it a little bit by crossing Gigny. You’ll go through the flood plain between the Saône and Grosne. Further, you’ll have St loup de Varennes, where Joseph Nicéphore Niepce, the creator of photography, lived. 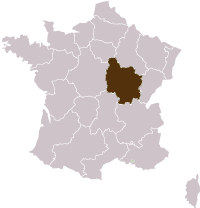 Then, there is St Rémy, where you’ll get back to the Saône banks to Chalon-sur-Saône, which is very close. At 5:30 pm, you will have to be at the “Maison des vins de la côte chalonnaise”, which is close to the Saône banks, for a wine tasting. Night in the 3-star hotel “Hôtel Saint-Georges 3*” (or similar) in Chalon-sur-Saône..
You will cycle along the “Véloroute 50” through Crissey and Cergy. When you reach Allerey-sur-Saône, you will leave the bicycle path to follow small roads and paths to Beaune. In Beaune, you will have to be at the “Marché aux Vins” at 5 pm for a tasting of 11 wines of the region. Must-see, if you have time: Burgundy Wine Museum (closed on Tuesdays), which offers self-guided or guided visits. The Bouchard Ainé & Fils domain also offers visits as well as wine tastings. The Hôtel-Dieu Museum, also called the “Hospices de Beaune”, can be visited every day from 9 am to 6:30 pm. They all are located in the city-centre. Night in the 4-star hotel in Beaune. .
For dinner, you can go to one of the four Michelin-starred restaurants in Beaune. Beaune - Buxy, about 60 km 7h of cycling. You can take some time to visit Beaune before leaving through small marked roads to St-Léger-sur-Dheune, then take the bicycle path to Chalon-sur-Saône and Givry, to finally reach Buxy, charming village which has remains of fortifications and old towers. Night in the 3-star guesthouse in Buxy. Leave Buxy on the cycling lane to Cormatin where you can stop to visit its Renaissance castle built in the 17th century. Night in the 3-star hotel. Cluny - Mâcon, 28 km 3h of cycling. If you have not visited Cluny, take some time to do it before you leave. After Cluny, you’ll gladly drop the spiritual for the Lamartine romanticism: his childhood in this landscape combining nature, castles and monuments left a mark on the poet. To go there, you’ll cross the longest cycling tunnel in Europe, illuminated and secured over 1600m, which leads to the castle of Berzé le Chatel, in full light. If you climb there, you’ll be rewarded with a wonderful view on the Mâconnais. Night in the 3-star hotel in Mâcon. Choose your departure date with the calendar! From April 1st to October 31st . Customize your tour : add or remove one night or more, combine with another tour.